I am a husband, father, grandfather, and child of God. I have a passion for pouring what I have learned through years of studying and walking with the Father into the lives of others to help them find freedom through the love of Jesus. I enjoy fishing, old cars, traveling, and playing with my grandchildren. I hope you will come back often, and we’ll enjoy the journey together. 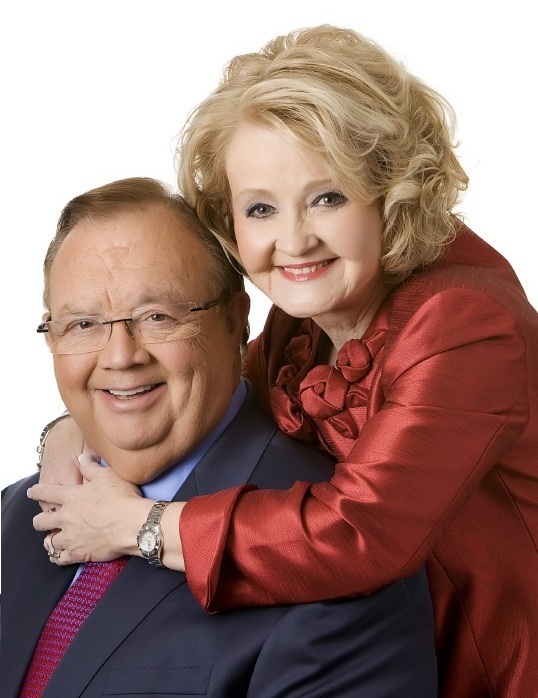 Ron Phillips served as senior pastor of Abba’s House from October 1979 until December 31, 2017, when he transitioned to Pastor Emeritus. Pastor Ron was a pioneer in the area of spiritual awakening among Baptists and spiritual warfare. He now serves as an ambassador of Abba’s House as he mentors young pastors and operates in an apostolic role. For 32 years, his weekly television program aired around the world. He also hosted the CenterPoint radio broadcast for 14 years. He is an accomplished writer, with a blog and more than 30 books authored, including the Foundations on the Holy Spirit series, Our Invisible Allies, Everyone’s Guide to Demons & Spiritual Warfare, Unexplained Mysteries of Heaven and Earth, The Power of Agreement and The Unraveling of America. I really do like this blog. You’ve been in our prayers the past three years. So thankful the Lord has brought you through a variety of health issues during that time. You are a great encourager to the world and the body of Christ. Thank you, Gingy55. Thank you for all of the prayers. Doing great… praise the Lord! You are such a fathering gift the the Body of Christ. (so reflecting the Father). I am thankful to enjoy this blog as I have your preaching/teaching for many years. Gladly receiving the riches here! Thank you, Jeanie. You are very kind. Glad you found the blog. Miss my church while I am here at MD Anderson. So wish I could be there for FONW. I know there will be healing in our House. I will be watching and sharing with the precious lady that is sharing her home with me. Looking forward to more miracles both here and there and praying for you. We’ll miss you, Valerie. Praying for miracles and healing. Ron, did you once preach in Montgomery,Al? I can still hear my mom talking about this man named Ron every time we went through Chatanooga as we headed out for a family vacation. I was too young to remember, but I remember attending Court Street baptist church. Yes, that was my home church that licensed and ordained me. I preached there many times as a young man… even as a high school student. Well I’m late getting back to you. If you ever down this way again come visit us at McGhee Rd. it’s been a long time. I have a special prayer request for my dad who has Alzheimer’s, please pray is slows down. My dad Ray Blackburn, who was diagnosed a year ago with this terrible disease. Not sure if you remember my parents or not, may God bless you. Im enjoying your blogs especially the Enough is Enough one. I keep having things come up every time Your preaching at church, Nursery 2 weeks ago, Beach trip this week. But My wife and I got to watch online, wow what a mighty outpouring of God with Damon Thompson there this last sunday. Im looking forward to some sunday night services this summer, Ive really been missing your preaching. I pray the Most High God continue to show u favor and bless you and your household. I bumped into your blog! Except for Dr Paul Cox I’m not accustomed to hearing Baptists talk about spiritual warfare. You’d think demons had left the planet for the last 40 years. I look forward to reading more. I am just glad to see another God fearing man preaching Gods word as it is and not sugar coating it or tickling ears. I watch the episode on the terrorist in America and agree a lot of people has turned a blind eye to what’s going on here in our country or afraid to confront it. If we Christians don’t come to one accord with love through Jesus Christ for one another as per scriptures and stand for America and America stand for Israel we haven’t see nothing yet here in our homeland I’m afraid. Pastor Ron, I have recently been watching your show on TV and am quite blesssed and impressed with your dynamic presentation of the Gospel. I’m a law enforcement sergeant in the Houston area and am concerned for not only the current but future events as it relates to me my family and job and the public. Pray for us here and we desperately need more Christians in the field of law enforcement. So glad to hear that you are spirit filled. I enjoy the spiritual transformation that you have brought to the church. I enjoy so much the up to date messages you exhort to the people of America. I need special prayer concerning my financial situation. Gary. Dr. Phillips. I am currently reading your book which is truly GODS’ Word ‘Angels and Demons’ and I must say that I have been looking for this material for decades. You have filled in the missing pieces that I have sought for so long; which no pastor I have encountered has been able. Your explanations are clear and concise! I just cannot put this book down for very long. For years I have only gotten snippets of information from radio, TV or church sermons; all of which simply made implication of the spiritual forces at work in this world. ‘Angels and Demons’ pulls it all together and has charged me up. I have to admit because of my frustration with the limited information I have been slipping in my faith. No more slipping; this book has given me the spiritual grip I needed to stop slipping and begin a new journey in my quest for a stronger and closer relationship with GOD/JESUS. Once I’ve finished this book I will be ordering more materials from ministry. GOD Bless You! Keep up the good works of GOD. I pray GOD keeps you safe and healthy so you can keep up HIS good works in this world. I ask for one prayer from you. Please pray that my faith in GOD continues to rebuild and that I get to have a much deeper relationship with JESUS. It is a hope of mine that one day soon I will know the Lords voice when HE speaks to me. I pray that day is sooner than later. Pastor Ron, You may not remember me but I am formerly Keri Freeman (Charles and Paula Freeman’s daughter). I’ve been told my whole life about you dedicating me to the Lord as an infant. I wanted to let you know how your article about depression ministered to me. For the last week I have been dealing with something I could NOT shake! Heaviness in my chest, no appetite, panic attacks, anxiety, not myself at all! So strong we had to leave a vacation early. Everyone around me was concerned. Well on Wednesday night last week I went to bed and just opened my Bible and decided to read it wherever it opened up to. I was feeling so overwhelmed and hopeless. I was reading about Jesus healing the sick and demon possessed. After I read awhile, I said aloud, “Jesus, what do you want from me? What do you want me to do?? ?” I closed my eyes and fell asleep for just a few minutes and when I opened them I saw a black cloud floating up from my body up to the ceiling. I went back to sleep and slept like a baby. The next morning I opened up twitter and one of the first things I came across was this article about the spirit of heaviness. I truly believe that I saw that spirit of heaviness leave my body that night! Your article made so much sense and was right on and explained to me what I had experienced the night before. God’s perfect timing! I think it’s so neat also because you are the man of God who dedicated me to the Lord! I just wanted to share with you. Praising God for deliverance!!!! I have been lifted and things are so much more normal since then in my life. Wow! It’s been a long time! Thank you so much for your story, and for reaching out. You bless me!